After setting a Arduino on a Breadboard I also needed to be able to make work without a computer or an Arduino Board to provide power. The ATMega needs a 5V power source, and I want to be able to power it on any regular wall wart. How can this be done? Small electronics need some kind of rectifier to take the Alternate Current (AC) you get in your house outlets (220V in most of europe) to something as small as 5-12V of Direct current (DC) (if you want to know more about AC and DC you can read the 'War of Currents' article on Wikipedia). 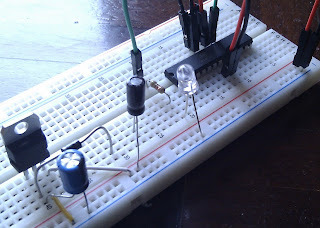 To be able to ensure a smooth 5V DC to the circuit, I used a 7805 rectifier. In order to use it correctly you need a diode and two capacitors. Here's the schematic I used. 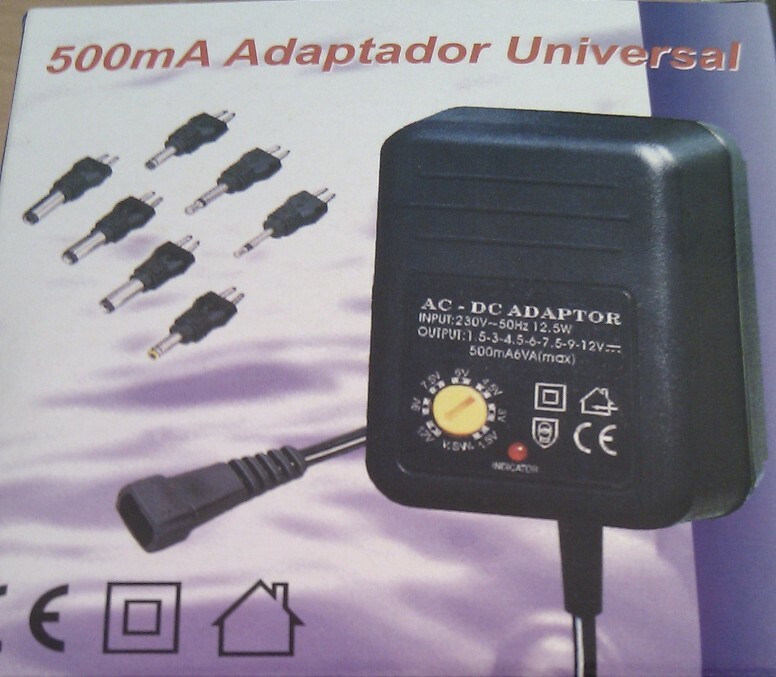 This rectifier has an input limit of 40V DC (but it is recommended to use from 7 to 12V), so we still need an AC-DC adapter capable of providing the recommended input to the 7805.